the authority of a thousand is not worth the humble reasoning of a single individual"
This long list of commitments and involvements in various well-known international organizations demonstrate the achievements, multiple scientific/professional activities and responsibilities of Prof., Dr Pretidev Ramdawon. Furthermore, here are the special recommendations for Prof., Dr Pretidev Ramdawon from one of the world leaders of laser medicine & surgery, Prof., Dr Leonardo Longo, President of the International Academy of Laser Medicine & Surgery. Dr Pretidev Ramdawon is officially registered with the Medical Council of Mauritius since 1990 as a General Medical Practitioner and since 1994 as a Specialist Medical Practitioner bearing Registration Number 01259. With over 30 years of wide practice in various fields of medicine, including general medicine, general surgery, cardiovascular & thoracic surgery, aesthetic, plastic & reconstructive surgery, laser medicine, laser surgery, information medicine, energy medicine, laser info-energetic medicine, electromagnetic field medicine and alternative medicine, Associate Professor of Medicine, Dr Pretidev Ramdawon, M.D., Ph.D., D.Sc., is actually the founder, owner and CEO of the VIP Laser Clinic Med Spa in the Republic of Mauritius. 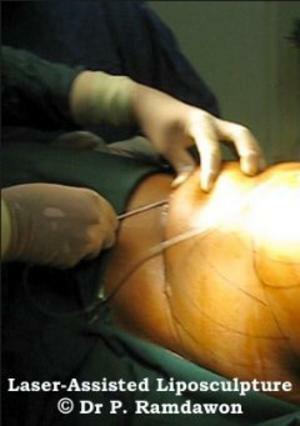 Lasers were first introduced by Prof., Dr Pretidev Ramdawon, M.D., Ph.D. - med., D.Sc. - med. in Mauritius both for medical and aesthetic treatment purposes in 1994. He created the first laser medical center of Mauritius and the Indian Ocean, known as the Center of Laser Energy Medicine located in Quatre Bornes where he introduced the first medical lasers ever in the country for the treatment of a wide range of diseases, including cardiovascular, broncho-pulmonary, neurological, urological, musculo-skeletal, dermatological, psycho-somatic and other disorders. He parallelly created the first laser aesthetic center in Mauritius, known as Gem Paradise where he introduced laser treatments for aesthetic problems. As a result of natural evolution, patience, expert planning and hard work, all fusing to deliver the huge success achieved at these laser centers in the ultra-modern management of medical and aesthetic problems, further motivated Prof., Dr Pretidev Ramdawon to create in 2006 one of the most advanced medico-aesthetic centers called the International Center of Information Energy Medicine, shortly known as The Laser Clinic, which was located at Flic en Flac, one of the best resorts on the island of Mauritius. The latest medico-aesthetic center, known as the VIP Laser Clinic Med Spa was created in 2012 at Regency Square, Van der Meersch St, Beau Bassin under the expert guidance of Prof., Dr Pretidev Ramdawon who is a pioneer and a world leader in laser medicine as well as info-energetic medicine. So, today this very special spa center is the result of synergistic crystallization of the dreams and scientific aims of bringing together the advances in laser medicine, aesthetic medicine, cosmetic dermatology and general medicine in order to offer exclusive and highly-qualified medico-aesthetic services. The Med Spa is an absolutely new concept in the field of medico-aesthetic services and is widely popular in the USA. Med Spa services gives a new and refreshing approach in the management and rendering of clinical medico-aesthetic services to all those in need of them. Pretidev Ramdawon, after six full years of studies, graduated in general medicine (MD) in 1986 from the Medical Faculty of the Peoples' Friendship University of Russia (PFUR), Moscow - one of the two best universities of ex-Soviet Union. The elite teachers and professors of the 1st Moscow Medical Institute were selected by the Soviet Government in the sixties in order to form the outstanding teaching staff of the Medical Faculty of the PFUR and till today this tradition of having the best teachers is strictly and closely observed in order to form medical students from 140 countries of the world into doctors. Peoples’ Friendship University of Russia (PFUR) was founded as an international university on 5 February, 1960 by the USSR Government. On 22 February, 1961, the University was named after Patrice Lumumba, one of the symbols of the African peoples’ fight for independence. Today Peoples’ Friendship University of Russia is one of the leading state higher educational institutions of Russia. It is the only university in the world every year uniting students from 140 countries. The University has a multi-profile structure of faculties and majors, typical for classical universities of the world. More than 77 thousand graduates of the University work in 170 countries, among them more than 5,500 holders of Ph.D. and D.Sc. degrees. Specialists are prepared in 62 major lines of study. More than 29,000 graduate and postgraduate students from 140 countries are currently studying at the university. They represent more than 450 nations and nationalities of the world. The University is a renowned research center. It is a team of 4,500 employees, among them 2,826 highly qualified teachers. The University intellectual fund comprises more than 870 author’s invention certificates and 150 patents of the Russian Federation in practically all fields of University scientific research. PFUR preserves the traditions of international cooperation, developing international ties, promoting students and teachers exchange with dozens of universities in Asia, Africa and Latin America, as well as leading universities of Europe, North America, China and CIS. The Peoples' Friendship University of Russia officially recognizes Dr Pretidev Ramdawon to be one of the few eminent and amongst the ten best graduates of its Medical Faculty in the history of all its existence. The chief mentor who played the determining role in the intensive scientific experimental and clinical research training of Dr Pretidev Ramdawon at the Peoples' Friendship University of Russia was late Professor Emeritus, Academician Professor Victor Alekseevitch Frolov, ex-Head of the Department of General Pathology & Pathologic Physiology and ex-Dean of the Medical Faculty, PFUR, who spotted the former out amongst hundreds of students already in the second year of his medical studies and supported him and acted as his scientific consultant all the way out till he obtained his Ph.D. scientific degree in 1991 and his post-Ph.D. degree of Doctor of Medical Sciences (D.Sc. - med.) in 1994. Late Prof. Vladimir Vladimirovitch Vinogradov, whose father had been the personal doctor of Stalin and who held the Chair of Faculty Surgery, was Dr Ramdawon's first teacher of surgery during the latter's medical studies and modelled and heavily influenced his academic and professional life. Professor Vladimir V. Vinogradov's lectures as well as his points of views on theoretical and practical questions of surgery were just outstanding and his highly professional and sincere "franc-parler" in the field was unequalled as a surgeon due to his firm medico-surgical conclusions and decisions efficiently influencing patients' surgical outcomes. After having completed his internship, Dr Pretidev Ramdawon specialized in General Surgery (Clinical Ordinatura) at the same university under the expert guidance of two leading cardiac and general surgeons of that time, namely Prof. Fedor Nikolaevitch Romashov, Head of Department of Hospital Surgery and Prof. Konstantin Vasilyevitch Lapkin, Head of Department of Faculty Surgery of the Russian Peoples' Friendship University, Moscow. Professor Fedor Nikolaevitch Romashov was one of the most active surgeons of his time; he operated expertly on the thorax, abdomen and thyroid gland and was regularly carrying out closed cardiac operations, such as closure of the patent ductus arteriosus and closed mitral valve commissurotomy in the hospitals affiliated to his department of surgery. 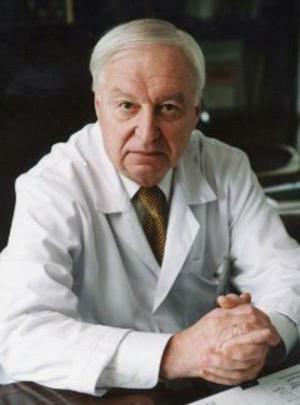 Late Professor Konstantin Vasiljevitch Lapkin was a very meticulous and dedicated surgeon. He was known for his expertise in cardiac surgery and was the inventor of the flexible dilator instrument used for closed mitral & tricuspid valve commissurotomy. This cardiac valve dilator was eventually patented in the USA (Patent number: 3667474; Filing date: Jan 5, 1970; Issue date: 1972). A dilator for performing mitral and tricuspidal commisurotomy per atrium cordis, comprising a working head with jaws and a jaw actuating mechanism, the working head being associated with a hand-operated drive through a flexible base. The working head of the dilator has a relatively rigid portion which enables the surgeon to easily pass the working head with finger guidance through tracts of any curvature, i.e., to utilize the dilator in all current methods of instrumental commissurotomy performed per atrium cordis. The working head of the dilator is distinguished by its high rigidity and strength. Dr Pretidev Ramdawon further specialized in Cardiovascular Surgery at the Division of Heart Surgery of the All-USSR Scientific Center of Surgery ("V-N-Tse-Kha"), USSR Academy of Medical Sciences, earning a Diploma of Specialisation In Cardiovascular & Thoracic Surgery after a five year course of specialised training in the field. In 1991 at the age of 33 years Dr Pretidev Ramdawon was awarded a double Ph.D. in Medicine, namely in the fields of Cardiovascular Surgery and Pathologic Physiology as the result of joint clinical and experimental scientific research works performed at this outstanding medical institution together with the Department of General Pathology & Pathologic Physiology and the Central Scientific Laboratory of the Medical Faculty, Peoples' Friendship University of Russia, Moscow. The Director of the Division of Heart Surgery was late Professor Emeritus, Academician Professor, Dr Boris Alexandrovitch Konstatinov, an outstanding cardiovascular surgeon of that time, who played an essential role in the training of Dr Pretidev Ramdawon as a cardiovascular surgeon. Academician Professor B.A. Konstantinov actively participated in the organization and opening of the first department for the surgical treatment of congenital heart diseases in children at the Bakulev Institute of Cardiovascular Surgery in Soviet Russia and became the first head of this department. As from 1968 till 1988 he became the Head of Division of Heart Surgery of the Soviet Scientific Center of Surgery of the Soviet Academy of Medical Sciences under the direction of Academician Professor Petrovskii Boris Vasilievitch. Then, as from 1988 Academician Professor B.A. 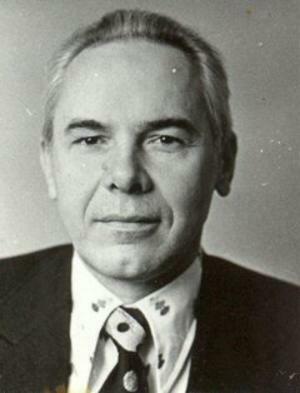 Konstantinov became the Director of the Soviet Scientific Center of Surgery. He was a highly qualified cardiovascular surgeon, doing all kinds of operations on the heart and is one of the first surgeons to have carried out successful operations of cardiac transplantation. Late Professor, Dr Leonid Polikarpovitch Cherepenin, as the Head of Department of Congenital Heart Diseases, Division of Heart Surgery of the All-USSR Scientific Research Center of Surgery, USSR Academy of Medical Sciences, Moscow, also played a very active role in the training of Dr Pretidev Ramdawon regarding the surgical treatment of congenital heart diseases. It should be noted that the All-USSR Scientific Research Center of Surgery ("V-N-Tse-Kha") has been the No. 1 Institution for Surgery in the whole ex-Soviet Union, whose director at that time was one of the greatest surgeons of all times, Chief Surgeon of USSR, ex-Minister of Health of the USSR for 16 years, Honorary President of the USSR Academy of Medical Sciences, member of all the Royal Colleges of Surgeons of England, Edinburgh and Ireland and of professional medical associations in other countries, including USA, France, Germany, Japan, etc., late Professor Emeritus, Academician Professor Boris Vasilyevitch Petrovskii, who played an active role in the training of Dr Ramdawon as a cardiovascular surgeon and who personally recommended and welcomed the latter to become a member of the International Association of Surgeons. Dr Pretidev Ramdawon remembers the outstanding opportunity he had during his training as a cardiovascular surgeon at the Russian Scientific Center of Surgery to assist Academician Professor B.V. Petrovskii during operations on the open heart when the latter was still operating very lucidly and very calmly without any tremor of his hands at the highly respectable age of 85 years. Dr Pretidev Ramdawon's training with such unique and outstanding surgeons helped him tremendously in his education and training as a cardiovascular surgeon. At the age of 33 years, Dr Pretidev Ramdawon was appointed Leading Researcher ("Vedushii Nauchnyi Sotrudnik") & Associate Professor of Medicine of the Medical Faculty, Peoples' Friendship University of Russia (PFUR). It is to be noted that at that time when Dr Pretidev Ramdawon was a medical student and then a post-graduate scholar in medical sciences, the PFUR was rated as one of the two best universities of the USSR. In 1994, Dr Pretidev Ramdawon was awarded the topmost degree existing in sciences in USSR, i.e. the post-Ph.D. degree of Doctor of Medical Sciences (D.Sc. med.) as a result of his outstanding achievements in the field of cardiology. Dr Pretidev Ramdawon did not stop his training in medicine there, being happy to be a cardiovascular surgeon and not being happy to stop there. Dr Pretidev Ramdawon was as well concerned by the problems troubling people in their external appearance, feeling of wellness and anti-aging struggle. So he got preoccupied by the advances in aesthetic medicine and surgery. He further underwent a university course of specialization in Plastic and Reconstructive Surgery at the Medical Faculty of the Peoples' Friendship University of Russia, Moscow. Finding excess fat deposits a major problem of the human body at the present time bringing to overweight, obesity and physical deformation problems, he met the challenge by taking up a specialized training course in liposculpture as a university post-graduate course conducted by one of the pioneers of liposculpture, Professor, Dr Luigi Pavesi from Milan, Italy. Dr Pretidev Ramdawon was also widely investigating about the best and most effective methods of treatment in allopathic and alternative medicine and he received further specialized training in Traditional and Folk Medicine (Phytotherapy, Bio-Energo-Therapy, Traditional Chinese Medicine, Indo-Tibetan Medicine). Dr Pretidev Ramdawon further followed post-graduate courses in laser medicine and surgery as well as microwave resonance therapy at the Faculty of Post-Graduate Education, USSR Ministry of Health. Dr Pretidev Ramdawon studied, worked and developed treatment methods in laser medicine and surgery with leading Soviet experts at the Conversion Filial Of Laser Production & Medical Applications of the Soviet Cosmic Industry in the late '80s and early '90s. Together with the leading Russian experts, Prof., Dr Pretidev Ramdawon co-authored a book on laser medicine that was published in Moscow, Russia by the Conversion Filial in 2000. The results of application of his knowledge acquired in laser medicine and surgery in his scientific experimental and clinical research works in Moscow, i.e. the proofs of efficacy of laser therapeutical and surgical methods of treatment of a wide range of diseases, including cardiovascular ones, further determined the future professional path and life of Dr Pretidev Ramdawon. In 1994, due to duties calling him back to his native country, Prof., Dr Pretidev Ramdawon returned to the paradise island Republic of Mauritius, where in 1995, he opened his private medical center which he called "Center of Laser Energy Medicine", situated in the highly residential town of Quatre Bornes, Mauritius. Since then, he has been working hard to develop laser medicine as well as information and energy medicine in this center in Mauritius. Being faithful to his vision of the future of medicine and basing himself on his as well as world-wide experience of modern laser medicine, info-energetic medicine as well as natural medicine, Dr Pretidev Ramdawon developed a new private medical center in 2007 known as the "International Center of Laser Info-Energetic Medicine" (ICLIEM), also known as "The Laser Clinic", situated in Flic-en-Flac, which is one of the best holiday resort areas of Mauritius. Further, in 2012 Dr Pretidev Ramdawon established a new private medico-aesthetic center, known as the "VIP Laser Clinic Med Spa" found in Beau Bassin, a highly-residential town annexed to Rose-Hill, another highly residential town, thus locating itself in the socio-economical center of the country and providing high acessibility to one and all from all parts of the country. Actually, Prof., Dr Pretidev Ramdawon is a consultant for several laser-producing companies, with whose keen interest and scientific collaboration he has readily realized the latest laser technologies, namely the Laser Light Bio-Activator 3000-7, the Laser Light Bio-Activator 3000-7-2, Laser Light Bio-Activator 3000-8-2 and the microlasers, including the Microlaser DM1 for the treatment of diabetes mellitus, which are the giants paving the path of tomorrow's medicine! The supermicrolasers (SML 1) have been recently devised (2003) by Prof., Dr Ramdawon to further help diabetic patients as these devices are an upgraded version of the microlasers, and bring significant beneficial effects for recovery to patients during or after their therapy courses. The latest generation of lasers known as "Intelligent Biofeedback Lasers" (IBL) has been devised by Prof., Dr Ramdawon (2004), according to whom this class of lasers show the highest level of efficacy ever obtained in low-level laser therapy in general. Dr Pretidev Ramdawon completed the necessary course of studies and clinical workshops in Aesthetic Medicine and was duly awarded a Certificate in Aesthetic Medicine in 2011 and a Diploma in Aesthetic Medicine in 2013 by the American Academy of Aesthetic Medicine, whose President is world famous medical aesthetic dermatologist, Michel Delune, M.D. Anti-Diabetic Intelligent Belt, Global Evolution Medicine Co. Ltd.
One of the latest achievement of Prof., Dr Pretidev Ramdawon is the development of an "Anti-Diabetic Intelligent Belt" (2011) which is a cybernetic medical device which works on bioresonance principles according to the integrated frequency-based functions of a microlaser and an electromagnetic field generator leading to the functional normalization of the pancreas and associated organs like the liver and spleen consequently leading to the normalization and stabilization of the blood sugar level and regression of diabetes mellitus. The VIP Laser Clinic Med Spa in Mauritius, the prototype of a futuristic medico-aesthetic center, has been one of the latest realizations of Prof., Dr Pretidev Ramdawon achieved in 2012 for the integration and application of scientific and clinically highly effective methods of laser, info-energetic, natural and nano-technology-based medico-aesthetic treatment methods in conditions of full relaxation, comfort, and wellness on a day-care basis. The action of the most subtle and advanced laser technologies is deployed here in conditions of a modern spa in order to help one get rid of any of the most common, chronic and/or stubborn medico-aesthetic skin problems and endocrine disorder such as obesity.